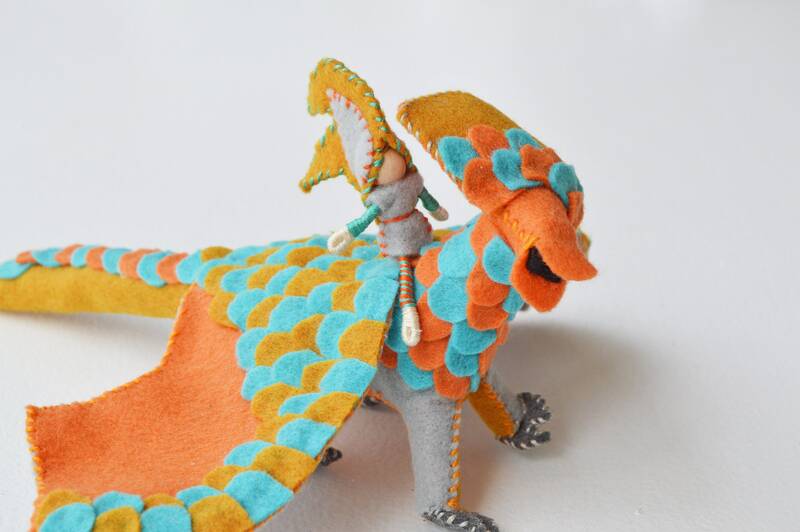 Meet Pharaoh the Felt Dragon and Cyrus the miniature fairy doll, ready for a high flying adventure! 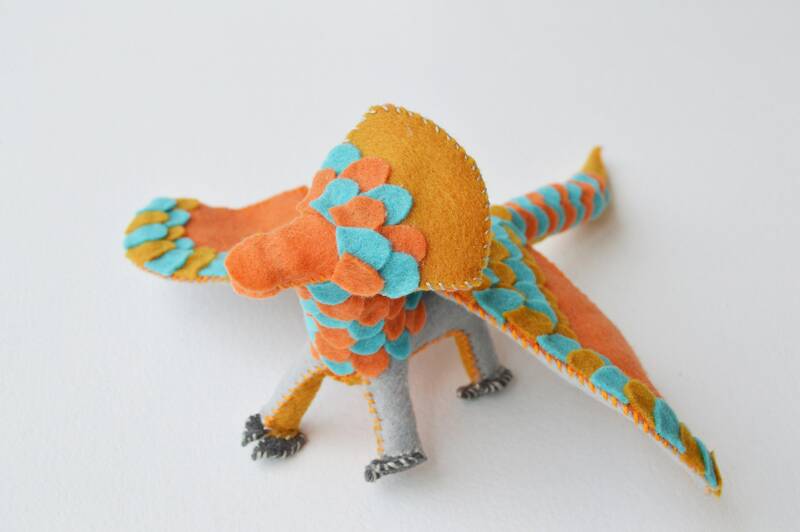 Pharaoh the dragon stands 4inches tall, is 12 inches long, with a wingspan of 10 and a half inches. 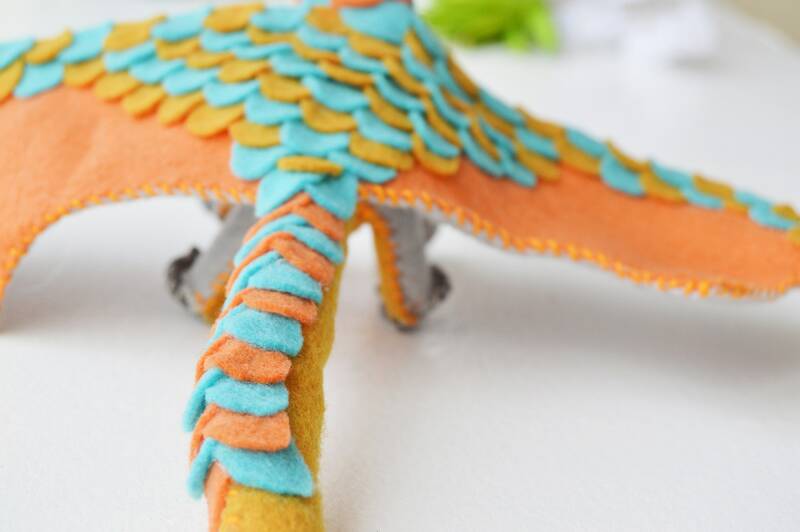 He is made out of cotton floss and felt in orange, gold, turquoise, and grey. 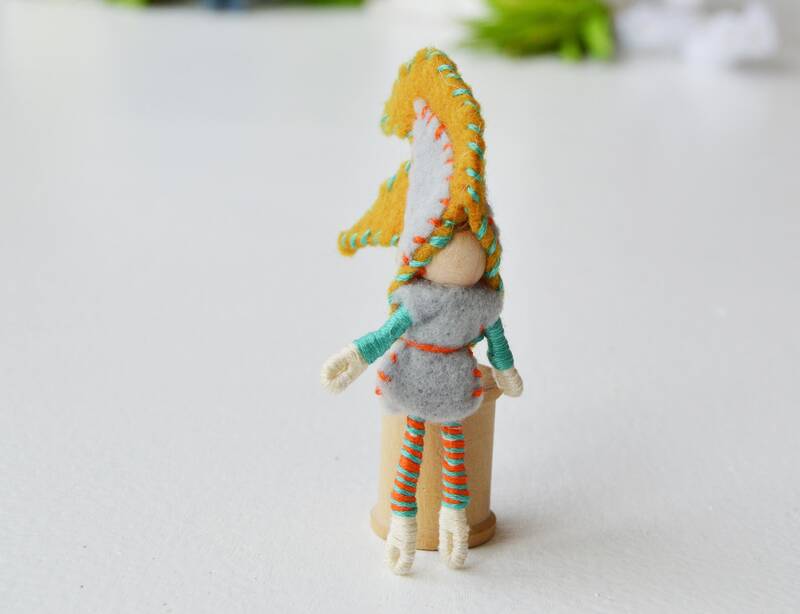 Cyrus stands 2 inches high. 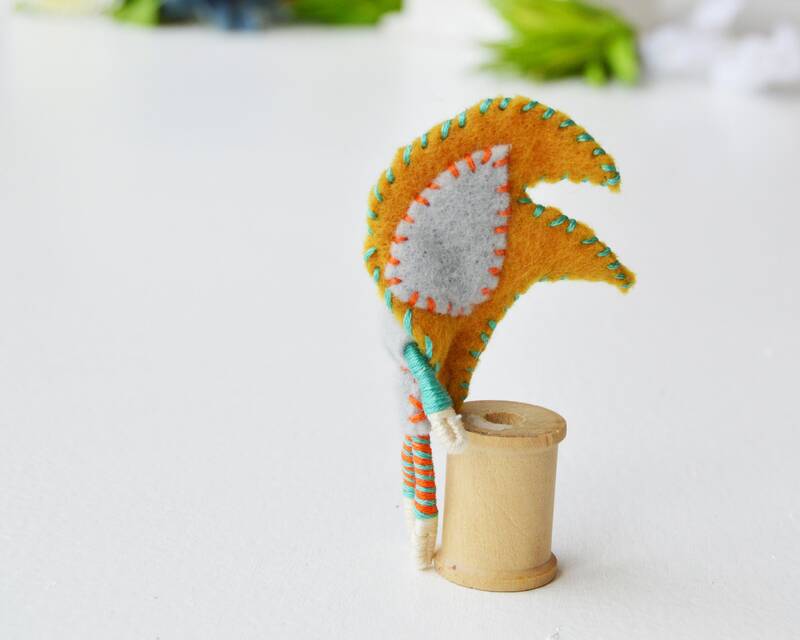 He wears a wears a grey felt tunic with blue and orange cotton floss sleeves and leggings. His cloak and hood are gold and grey polyester felt. 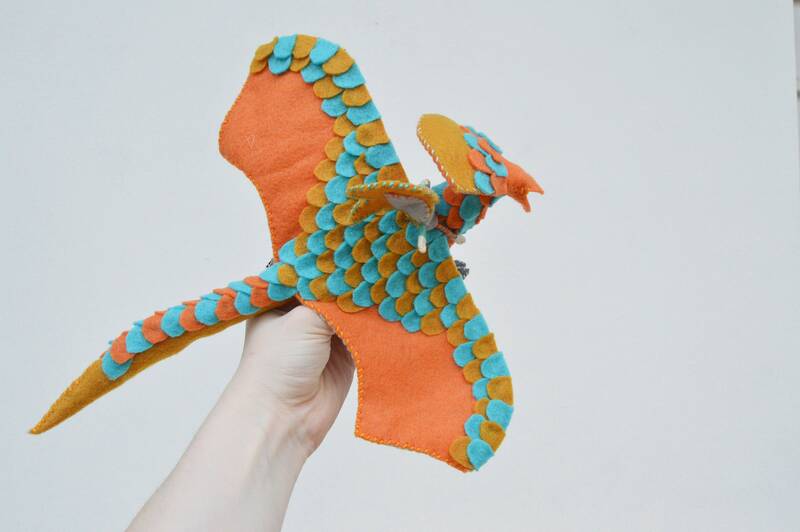 Together this dragon and fairy doll are ready to whisk you away with them on an exciting and magical fairytale adventure through the clouds! 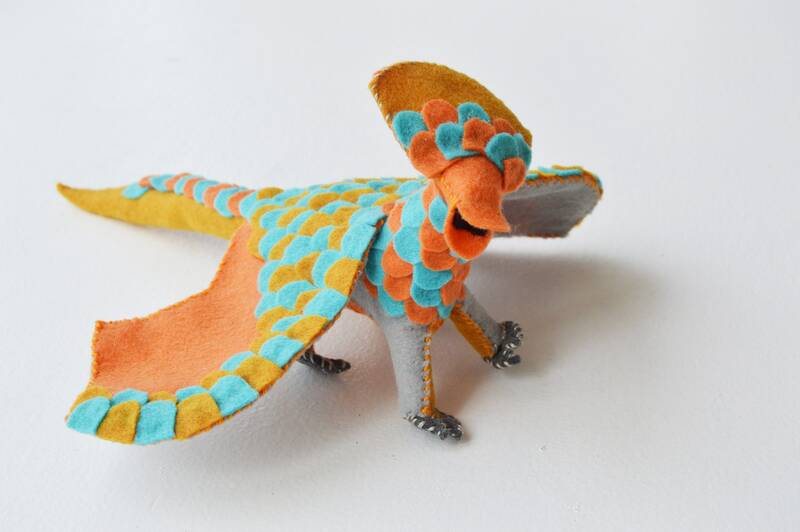 All my creatures and fairies are imagined, designed and lovingly hand stitched by me. 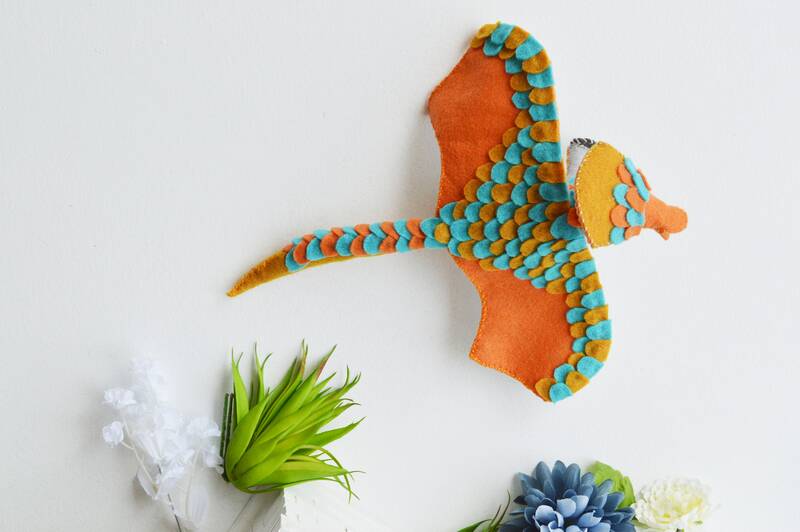 I use no patterns and never make more than one of the same design. 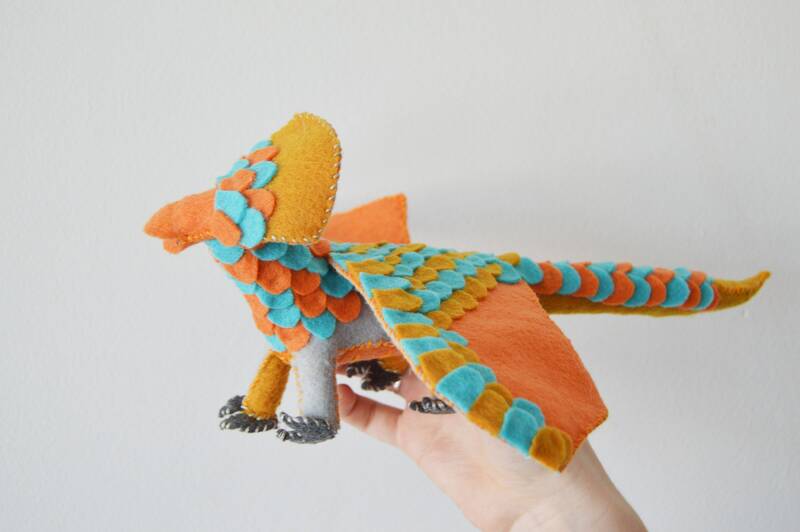 These one-of-kind plush dragons and fairies are created using five main materials: cotton floss, wire, faux flowers or leaves, natural wooden beads for the fairies, and polyester felt. 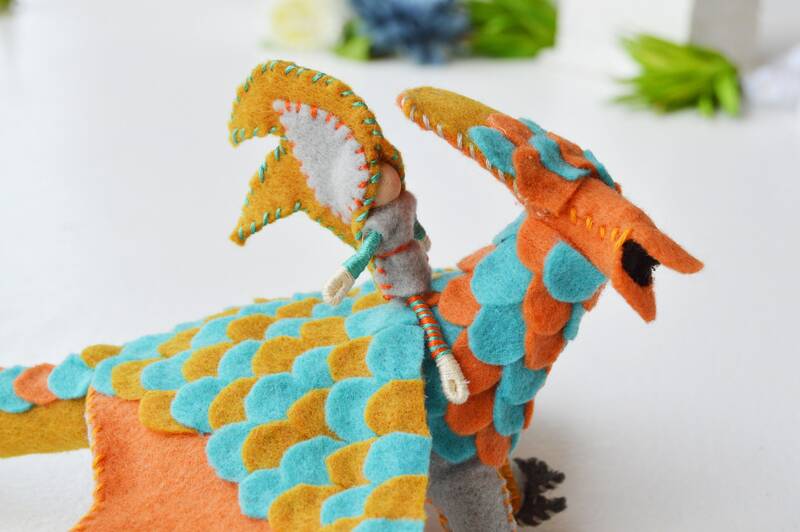 Please visit our shop to view my fairy dolls and other dragons, who are a perfect match for each other, whether for battle or companionship.